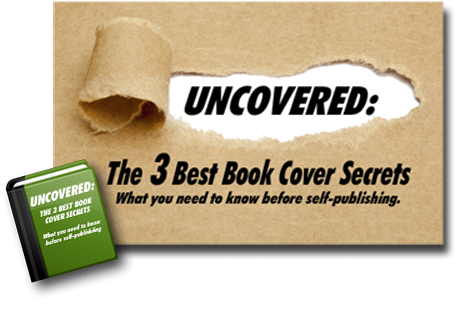 One of the major challenges for self-published authors is discoverability. How do you shine a light on your self-published book when it’s bobbing in a sea of a hundred thousand others? How do you continue the momentum of a book launch? How do you promote your backlist books when they’ve been languishing on virtual shelves? If you’re a self-published author, you have the advantage of a powerful marketing tool: Promote a short-term price drop! But keep in mind, there’s more to this type of promotion than just dropping the book price and then sitting back waiting for the sales to roll in. Increase Book Reviews. Maximize downloads by setting your price to free. Boost Sales of a Book Series. Dropping the price of the first book in a series hooks new readers who’ll buy the sequels. Consider a 99-cent or free price point. Bring Attention to an Upcoming Book Launch. Got a new book coming? Drop the price of a similar book in the weeks prior to the launch. Make sure to promote the new book in the back pages of the book on sale. Widen Your Audience. Indie authors sometimes team up with others in the same genre to produce book bundles for promotion rather than profit. Highly discounted book bundles grab enormous attention—and sometimes best-seller list accolades! Prepare Your Website For The Onslaught. A price drop will cause a surge in sales as well as an increased interest in you and your books. Is your website ready for the attention? Are all the hotlinks on your website working? Do you have a mailing list sign-up in a prominent place? Are the social media icons easily visible? Depending on your price drop goals, does your landing page promote the sale, an upcoming book, your series, etc.? Prepare Your Social Media Pages. Make fresh new banners for Twitter and Facebook to promote the sale. Pin a “sign up for my newsletter” post to the top of your timeline or news feed. Seek out and join Facebook Groups geared toward fans of your genre so you can post during sale-days promotion. Craft eye-catching graphics to spread the word on Instagram as well as through Twitter and Facebook posts. Prepare Your Mailing List Campaign. Set Up a Drip Email Campaign. You may attract a new audience of newsletter subscribers with this sale. Craft a drip email campaign to keep them interested and introduce them to the rest of your full-priced work. Craft an Email Blast to Inform Your Subscribers of the Sale. Make sure to A/B test to maximize subject lines. Consider Paying For Access To Commercial Mailing Lists. The king of all discount book advertising platforms is BookBub, but featured spots are hard to snag. Check out other book advertising platforms such as Ereader News Today, Freebooksy, Choosy Bookworm, and Fussy Librarian. Make sure to track impact by using affiliate tracking IDs or Bitly links whenever possible. Before Sale Day: Check Your Price. For any price change of 99 cents or more, most vendors register the change within 1-2 days. But if you don’t publish exclusively to Amazon through Kindle Unlimited, you must drop all other vendors’ prices to “free” and wait for Amazon to price-match. Also, you may need to change your selected royalty rate in order to charge lower than $2.99. This can take some time, so check frequently before the day of the sale. During The Sale: Promote Your Price Drop On Social Media. On Twitter and Instagram, use effective hashtags like “#freebook” to spread the word. On Facebook, promote on your personal and author page as well as in the appropriate Facebook genre groups you’ve already joined. Post every day, multiple times over the span of the discount, emphasizing the limited-time offer to promote action. During The Sale: Consider Paid Ads. Boost your Facebook posts for as little as $5. Amazon Marketing Services is effective to raise visibility of a book during a price drop without necessarily spending a lot of money. BookBub Ads can also be effective if targeted to similar genres and authors. During The Sale: Alert Your Newsletter Subscribers. Let your dedicated fans be the first to know about the discount. Send a second email to the subscribers who didn’t open the first email, using a different subject line. After The Sale: Encourage Reviews And Engagement. While you still have their attention, make sure to thank anyone who reviewed the discounted book and remind your social media and newsletter subscribers of any other books you’ve written and what’s up-and-coming. When the dust settles, it’s a good idea to evaluate the success of your price drop promotion. How do the five-day sales match up to the cumulative cost of advertising? Did you make an immediate profit? If not, did you still see higher sales a month later? Don’t forget to take into account the value of new newsletter subscribers and social media fans. All this data can help you determine whether a price drop promotion is right for you and how, next time, you may be able to do better. Question: When it comes to eBook prices, how much is too high? At what price point would you consider not buying a book? Great advice! I just ran a price drop and definitely saw an increase in sales but I still don’t know how to effectively manage my AMS so that I’m not spending more than I’m making.I asked 4 other promotion agencies to promote me on social media. I promoted myself on my social media sites (FB, Twitter, and Blog which also posts to FB, Twitter, Google+, and LinkedIn). I boosted my post on FB which shared to Instagram. While I don’t actually have any analytics, I feel most of my sales came from my AMS ad. I know a couple of people purchased my book from FB because they interacted with me on it. I’m going to try an experiment where I only purchase an AMS ad and don’t do any of the other promoting and see what happens. I do like your list of other places to advertise and have heard good things about them. I will have to experiment with them as well.